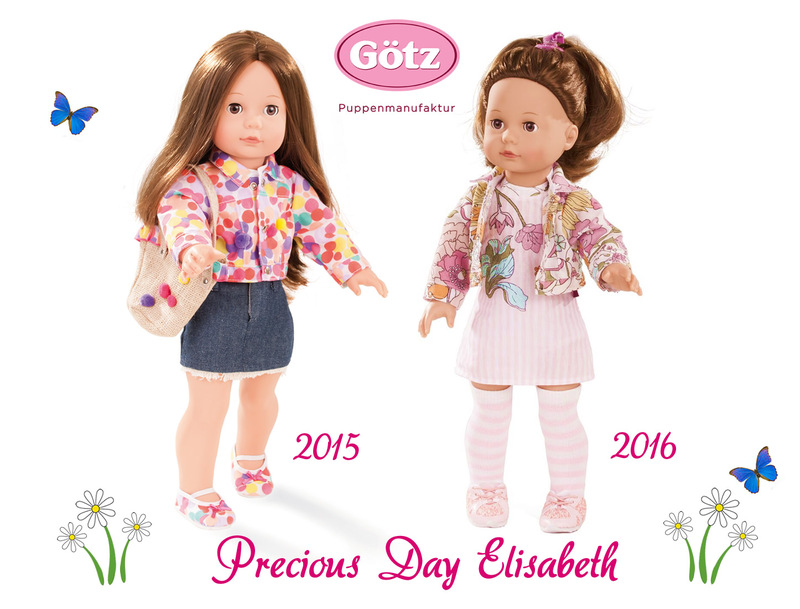 The Precious Day Dolls are very popular 18″ dolls that have been designed by the world famous German company Gotz. 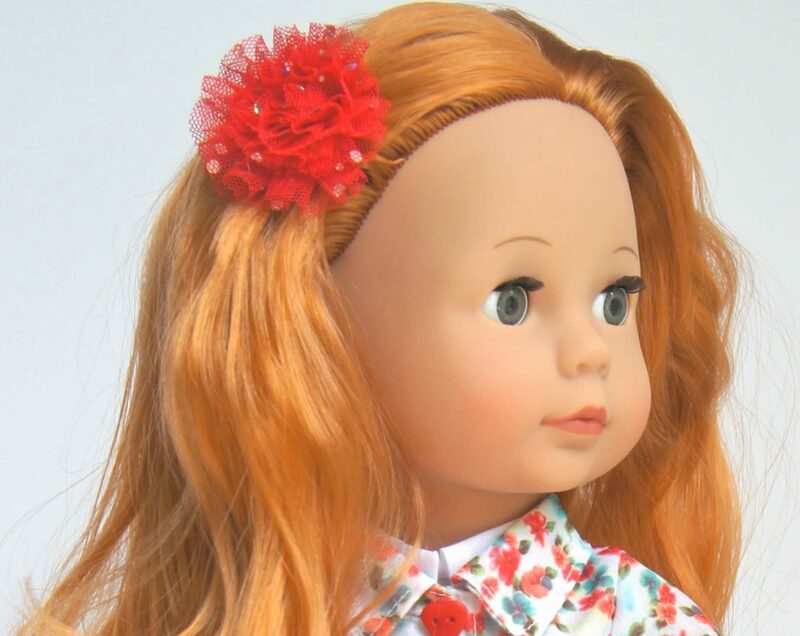 There are three dolls available in the range which reappear each year, sometimes with new outfits and sometimes with a fringe or different parting. There is Jessica with blonde hair, Elisabeth with brunette hair and Julia with red hair. Julia did disappear for a while but as of 2018 she is back! All the Jessicas have blue eyes and all the Elisabeths have brown eyes. 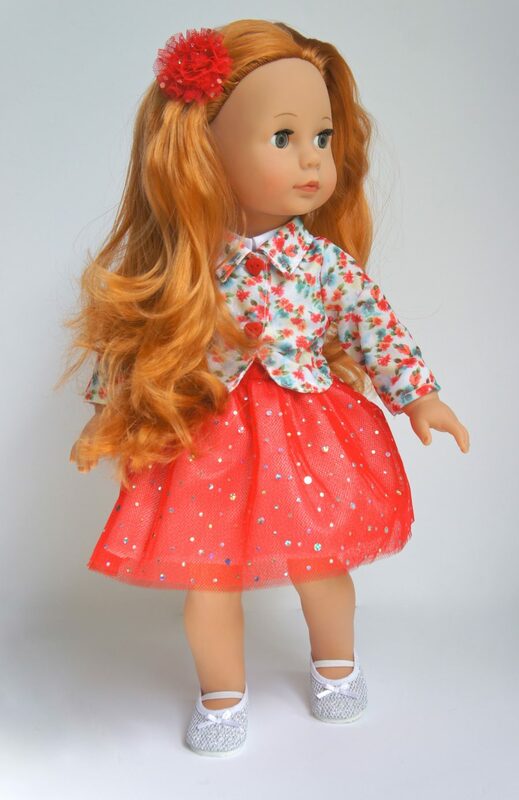 There is one Jessica sold ready to be dressed in an outfit of your choice but the rest of the dolls arrive in gorgeous outfits and have skin tone fabric bodies. The dolls have phthalate free vinyl heads and limbs. Their heads turn and the limbs are articulated so that they can be moved around. The dolls have fabric bodies made from skin tone coloured cotton firmly filled with polyester fibre so they are tactile and cuddly. 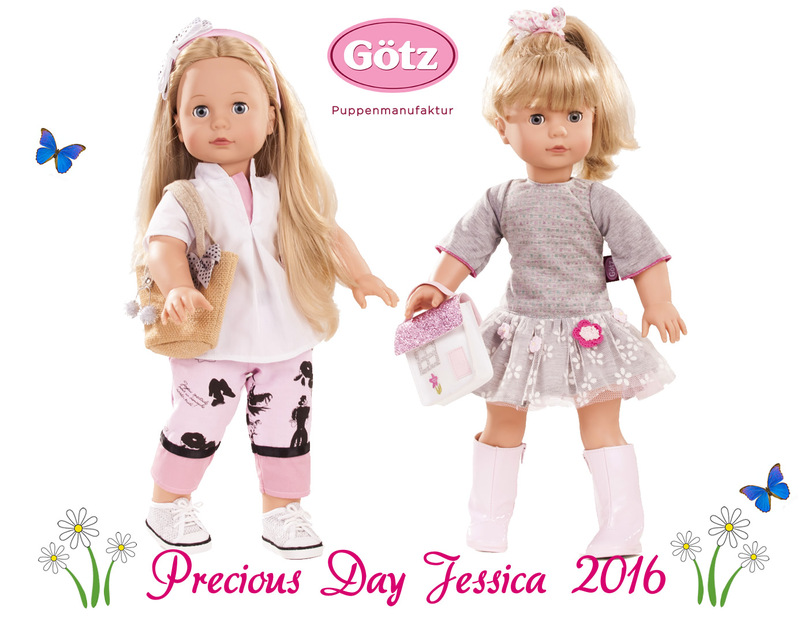 Jessica on the left above was discontinued by Gotz in 2016. What is amazing is that these dolls can be put in the washing machine and they come out lovely and clean! No other 18″ doll can do this! The face mould used for the Precious Day Girls is very pretty with rounded cheeks and large eyes. Their eyes close when the dolls are laid down and they have real eyelashes on the top lid and painted lashes on the lower lid. Their hair is really good quality and always very long (see photo of Julia further down), and it can cope with lots of brushing and styling without losing it’s smooth and shiny appearance. (I know this because my daughter has had many Gotz dolls for years). The hair is rooted (knotted by machine inside the scalp) which means that it is securely attached so great for young girls to play with. 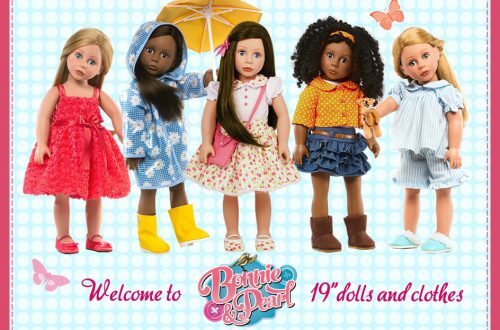 Precious Day dolls do make a very good alternative to American Girl dolls and their similarity is no coincidence. 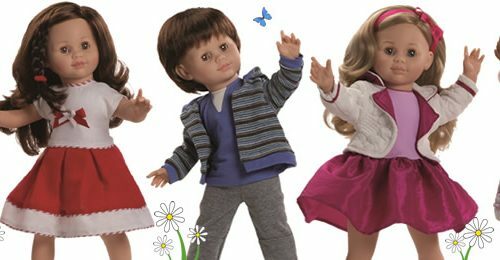 Gotz were the first company to make American Girl dolls for Mrs Rowland Pleasant, the original creator of American Girl. When Mattel took American Girl over Gotz gave them the moulds for the dolls, but the limbs of American Girl and Gotz Precious Day are identical to this day, as is the construction of the bodies. 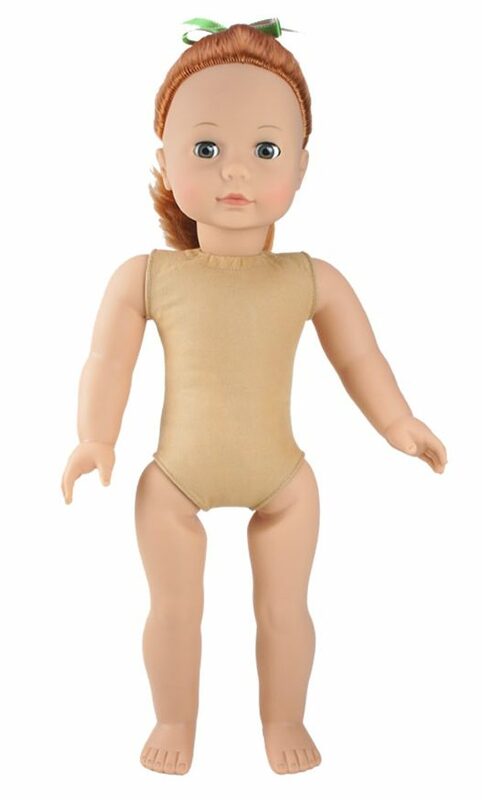 Gotz dolls are now a little slimmer in the body and their hair is rooted rather than a wig, but altogether they are a very good and cheaper alternative to AG. Which clothes fit the Precious Day dolls? Gotz make a range of clothes for 45-50cm dolls and all of these fit the Precious Day dolls. Some other makes fit too such as Frilly Lily and some Our Generation (not all). These dolls can actually be put in the washing machine which is really unusual. 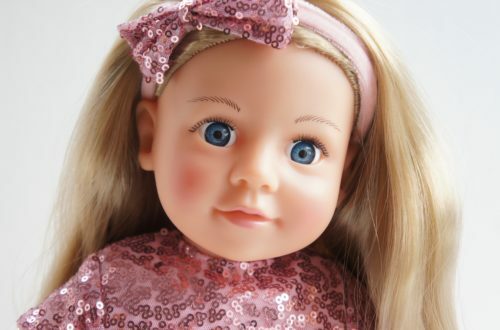 Before doing so style the doll’s hair in plaits or pig tails to ensure it doesn’t tangle. Tie the doll in a pillow case to protect it. Put the doll in the machine on a gentle cycle with a mild detergent. Remove the doll and style it’s hair how you would like it. Leave the doll to dry naturally in a warm place with air circulation. Gotz recommend that the hair is brushed using a wire brush to keep static to a minimum which can cause tangling. A Gotz brush is available. The doll’s hair can also be washed using cold or luke warm water and mild shampoo. Do not use conditioner. Rinse and air dry, or use the little hairdrier in the Gotz hair Styling set. Do not use a proper hairdrier with any heat as this will damage the hair. 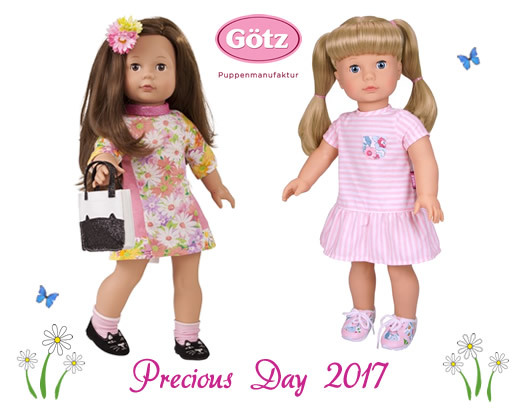 Our recommended independent retailers for Gotz Precious Day dolls are KR Bears and Dolls and Un Bonheur de Colibri. Or you can find them on Amazon and eBay.